Stampin' Up! Demonstrator, Mandy Reedyk, Peterborough, Ontario, Canada: Stampin' Up! My Digital Studio Certified! Stampin' Up! My Digital Studio Certified! I am Certified in Stampin' Up! 's My Digital Studio program!!!!! Please contact me if you'd like to get more information on this amazing versatile program. It is not just a scrapbooking program. 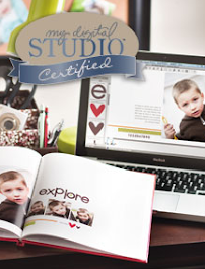 My Digital Studio is a software from Stampin' Up! that allows both demonstrators and customers to digitally create a variety of products including (but not limited to) photo albums, cards, calendars, individual scrapbook pages, and multimedia projects that use exclusive Stampin' Up! art, accessories, and colors. When printed with Stampin' Up! 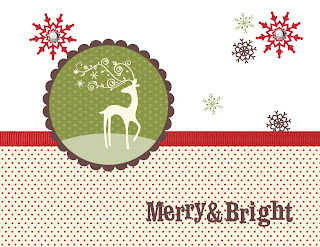 's professional print services, your projects can be combined with traditional Stampin' Up! products to create unique, multidimensional "hybrid" projects. You can also print at home or your favourite photo printing store. To purchase your own copy of My Digital Studio (MDS) please CLICK HERE and go to the SHOP NOW link.